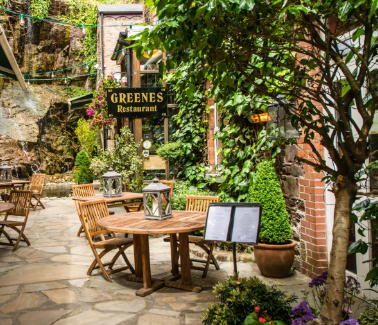 The food at Greenes is innovative, modern and devoted to place. Bryan McCarthy heads up the kitchen team at Greenes and recognises the uniqueness and quality of the outstanding ingredients that are available in Cork. His talented team works in tandem with the best of Cork’s food producers and in other parts of Ireland to create a menu that’s devoted to local, seasonal, foraged and organic ingredients.